Every Tuesday at 8 a.m., Houston ISD Trustee Manuel “Manny” Rodriguez, Jr., would roll his maroon mobility scooter up to his favorite table at the Tel-Wink Restaurant & Grill in Southeast Houston. Rodriguez always left the seat across from him empty. Constituents and complete strangers knew those were his office hours — the hours he set aside to visit with community members with questions about the school district, parents worried about new policies or those who just wanted to get Rodriguez’ opinion on the latest local news. If you were lucky, Rodriguez would buy your breakfast. 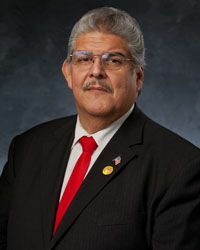 Rodriguez, an HISD trustee since 2003 and a voice for the city’s Latino community for years before that, died Wednesday morning after suffering a massive heart attack, according to a statement released by the Houston ISD. His unexpected death stunned the HISD community. Funeral arrangements had not been finalized as of Wednesday evening, and the district did not respond immediately to questions about the selection of a possible successor. 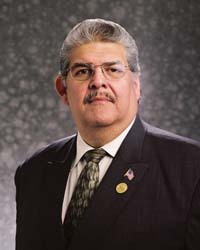 Houston City Council Member Robert Gallegos announced Rodriguez’ death at Wednesday’s meeting. He, Mayor Sylvester Turner and other council members offered their condolences to Rodriguez’ family. I interviewed Rodriguez in 2011, and we met at the Tel-Wink for it. I don’t know how audible any of it was over the background noise, but that was clearly his preferred place to hang out and be with people. There are many qualities that can make a person a successful politician, and the community Rodriguez had at the Tel-Wink was a fine example of one. My sincere condolences to his family and friends for their loss. Rodriguez was last elected in 2015, so he was not going to be on the ballot this November. I expect the Board will appoint someone to serve for now, and that there will be a special election to finish out his term in the fall. We’ll know more after their next meeting. Terry Grier steps aside as Houston’s school superintendent on Monday after a six-and-a-half year tenure marked by aggressive reform efforts, high staff turnover and mixed academic results. His replacement will inherit a stubborn racial achievement gap and lagging student test scores. Based on state ratings last year, 20 percent of the Houston Independent School District’s campuses were low-performing. The new chief also will take over management of the $1.9 billion construction program, which has faced delays and higher-than-expected costs since voters approved the bond package under Grier’s watch in 2012. Finding a superintendent with experience leading a similar-sized district will be tough – HISD is the nation’s seventh-largest, with 215,000 students. The depth of the candidate pool depends on the criteria the trustees set, said Henry Gmitro, president of the board’s new search firm (it severed ties with the first one). For example, Gmitro said, assistant superintendents from large, diverse districts may end up fitting the board’s profile. Grier, a North Carolina native, came to Houston in 2009 from his post as superintendent leading San Diego schools, with 135,000 students. Los Angeles Unified, the nation’s second-largest district, recently picked an internal candidate after a monthslong national search led by Hazard, Young, Attea and Associates. HISD has hired the same firm for $77,000, including expenses. Rodriguez, one of nine trustees, also has said he wants a superintendent who can speak Spanish. More than 60 percent of HISD’s students are Hispanic, 25 percent are black, 8 percent are Anglo and 4 percent are Asian. 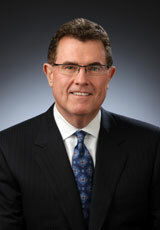 Before Grier, the last time the HISD board hired an outsider as superintendent was 1991. 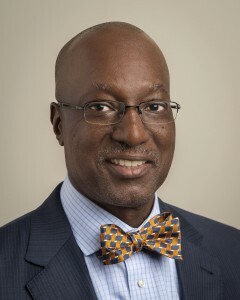 Trustees, in a rare unanimous vote this month, noted that they sought stability in naming the district’s chief financial officer, Ken Huewitt, as interim superintendent. Grier had promoted Huewitt to serve as his No. 2 over the summer. Grier said in an interview last week that he thinks Huewitt would be a good candidate for the permanent job. At the recent Chavez High School meeting, when a search consultant asked if the next superintendent should be an educator, nearly all hands were raised. While some superintendents have nontraditional backgrounds – coming from the business world or the military – the common path is moving through the education ranks. I suppose I’m agnostic on the questions of whether the next Superintendent is an insider or outsider, or if he or she is an educator or not. HISD has its share of challenges, but it’s also got a lot of good schools and dedicated employees, and recent state-caused issues aside, it’s generally in decent financial shape. The next Super will have to do a lot of learning on the job no matter who it is. I wish I could say there’s a clear formula for picking the right person, but there isn’t, and we won’t know if we’ve got someone who can truly do the job for several months as he or she adjusts and figures it out. I guess the main thing is to find someone who has the potential to do a great job, then give that person all the support we can to help him or her achieve that potential. And hope for the best. 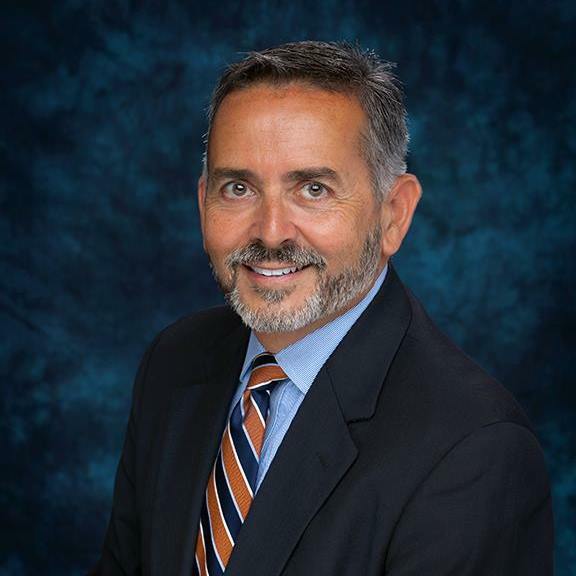 The Houston school board’s search for a new superintendent took a step back Wednesday as trustees severed ties with the firm they selected two months ago and agreed to start fresh with another. The district likely will be out some money, at least for expenses incurred by the Iowa-based consultants, but board President Manuel Rodriguez Jr. said he hopes the process stays on track to have a new leader on the high-profile job by July. With Superintendent Terry Grier stepping down Feb. 29, trustees chose Deputy Superintendent Ken Huewitt to serve as interim superintendent. After hiring Ray and Associates on a split vote in December, trustees on Wednesday unanimously and without discussion chose Hazard, Young, Attea & Associates, another well-known group that had applied for the job. According to media reports, the Illinois-based firm has faced criticism in recent months after conducting superintendent searches in Nashville, Tenn., and Minneapolis that failed to result in hires. “We have expectations of being successful. There’s no concerns right now,” Rodriguez said after the board meeting. Hazard, Young, Attea & Associates also is conducting a superintendent search for the Humble Independent School District, which has roughly 41,000 students, about one-fifth as many as Houston ISD. Klein ISD, on the hunt as well, turned local for consultants, hiring Houston attorney David Thompson and former Texas Education Commissioner Mike Moses. After splitting on several major votes in recent months, trustees united Wednesday on the search firm items and on unanimously naming Huewitt as interim superintendent. Several trustees urged Huewitt, HISD’s chief financial officer, to focus on academics as well as finances. About one-fifth of HISD’s schools are rated low-performing. See here for some background. Most of the rest of the story was about the Board firing its original search firm for finding a new Super and hiring another. No one had anything specific or interesting to say about it, so there’s not much for me to add. As for interim Superintendent Huewitt, I wish him the best of luck. These are tough times, and I presume anyone sitting in that chair will be hesitant to do anything that an incoming Super would not care for. Anything he can do to make things a little better for that next Super will be much appreciated. 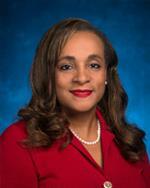 The HISD News Blog has more about Superintendent Huewitt. HISD Trustee District 3 is a rematch of one of the uglier elections from 2011. Ramiro Fonseca is back to challenge incumbent Manuel Rodriguez again. The College Success Coordinator for Project GRAD Houston, Fonseca has a long history of service. He’s has served as President of the Houston Hispanic Forum, the Clean Houston Commission (Keep Houston Beautiful), the Mayor’s Hispanic Advisory Board, and as President & Chair of the HPD Eastside P.I.P. As for the ugliness in 2011, you may recall there was an anti-gay mailer sent in the latter days of the race, which Rodriguez didn’t admit to but didn’t disavow, either. This caused the Chronicle to withdraw their endorsement of him. In the end, Rodriguez was re-elected by 24 votes. Needless to say, all of that serves as background for this race, and it was one of the things Fonseca and I talked about. Here’s what we know, though it’s incomplete. Fundraising among most HISD board members was slow during the first half of 2015. Board president Rhonda Skillern-Jones, who plans to seek re-election to her District 2 seat this November, raised the most money this reporting period ($4,000) and has the most on hand ($8,195), according to the July campaign finance reports. Three other board seats are on the ballot in November. Trustees Manuel Rodriguez Jr. (District 3) and Juliet Stipeche (District 8) have told me they plan to seek re-election. Trustee Paula Harris (District 4) has not returned messages, but she has raised no money and reports none on hand — a good sign she is not running again. The first day to file the formal paperwork to be on the ballot was Saturday. Only one candidate, Ramiro Fonseca, who’s seeking the District 3 seat, had filed as of Monday morning. The last day to file is Aug. 24. Three others have filed reports naming a campaign treasurer, indicating they were interested in running: Jolanda “Jo” Jones (District 4), Ann McCoy (District 4) and Darlene “Koffey” Smith (District 2). July reports for all of the HISD and HCC Trustee candidates that I know of are now up on the 2015 Election page. Note that only reports for HISD incumbents are available through the HISD website. HCC posts non-incumbent candidate reports as well, and good on them for doing so. HISD, you need to do something about this. Compared to some of the other races we’ve seen, these are Dollar General to their Niemann Marcus. In HISD IV, everyone I’ve spoken to has told me that Paula Harris is not running for re-election. It’s annoying that the non-incumbent reports are not online, but they do exist in paper form, and Ericka Mellon was kind enough to track them down. Former City Councilwoman Jolanda Jones has raised more than $8,100 in her run for the HISD school board, nearly twice as much as competitor Ann McCoy. 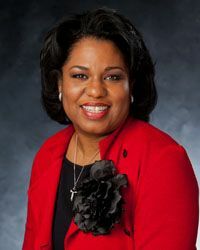 Jones’ contributions for the District 4 race include more than $2,800 from her council campaign. 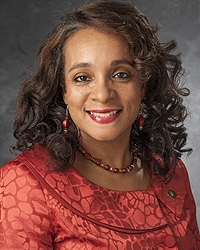 She served on the council from 2008 through 2011. Community activist Larry McKinzie also has filed a campaign treasurer report to run for District 4 but did not submit the fund-raising report due July 15, indicating he had not raised money at that point. In District 3, incumbent Manuel Rodriguez Jr. faces a rematch with Ramiro Fonseca. Rodriguez has more than $2,800 on hand. Fonseca has filed a treasurer report but said he has not raised funds yet. In District 2, incumbent Rhonda Skillern-Jones, the board president, raised $4,000 during the last six-month reporting period. Darlene “Koffey” Smith, also running for District 2, has not raised any money but reports spending $1,800 that she intends to reimburse with donations. Youlette McCullough, who lists her nickname as “Baby Jane,” has filed a treasurer report for the District 2 seat, indicating her plans to run. No word yet on whether HISD trustee Juliet Stipeche will face an opponent in the District 8 race. There’s more at the link, so go check it out. As for HCC, the only contested race so far is in my district, District 8, where first-termer Eva Loredo faces Art “brother-in-law of Abel Davila” Aguilar. John Hansen is running for the seat being vacated by Sandie Mullins Moger, Carolyn Evans-Shabazz was appointed to replace Carroll Robinson after he stepped down to run for Controller, and Adriana Tamez is running for a full term after winning the remainder of Mary Ann Perez’s term in 2013. I have heard that Dave Wilson plans to back some candidates for the Board, including Aguilar, but there are no other candidates as yet. His own finance report shows no funds raised or spent and nothing but an outstanding loan on hand; if he does play in any races I’m sure he’ll do it via a PAC, however, so don’t read too much into that. If you hear anything about that, let me know. Otherwise, not too much of interest here to report. It was a close vote. Property owners in the Houston Independent School District will see their tax bills rise after trustees Thursday narrowly approved the first tax rate increase for operations in a dozen years. The board voted 4-3 to raise the tax rate by 3 cents to fund a budget that includes raises for employees and millions of dollars for a controversial school reform program. The rate increase was lower than expected. 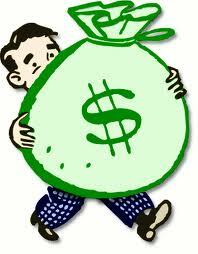 HISD’s financial chief, Ken Huewitt, had recommended a 4-cent increase to fund the budget the board approved in June. That amount would have given the district a cushion of several million dollars. The board instead approved a 3-cent increase and took $5 million from savings to balance the $1.6 billion operating budget for this school year. HISD’s new tax rate is $1.1867 per $100 of taxable value. That means the owner of a $200,000 home with the typical exemptions should pay $1,720 in HISD taxes this year. The owner of the same-priced home last year would have paid about $40 less. See here and here for the background. There was some drama over whether or not the vote would be taken at all on Thursday or if it would be delayed – see School Zone for the details, but the short story is that Trustee Manuel Rodriguez, who would have voted for the increase, was absent. Trustee Greg Meyers, who said he would have voted against the increase, was also absent; it’s not clear if that’s what precipitated the vote going forward or if it was a matter of clarifying the whip count. Anyway, the increase will help fund a 2% pay raise for HISD employees, which is good and needed, and a continuation of the Apollo program, which let’s just say remains a source of dispute. HISD still has one of the lower tax rates around, and for most people the difference probably won’t really be noticed. But you know how it is with these things. The Houston school board on Thursday extended Superintendent Terry Grier’s contract through June 2014 in a split vote that signaled the controversial chief has bridges to build with the newer trustees. The five trustees who were on the board that hired Grier in 2009 supported the extension, expressing their confidence in his leadership and the gains in student achievement. Three trustees elected after Grier’s appointment abstained from the vote, while another newer trustee opposed the deal. Trustee Harvin Moore, who made the motion for the two-year extension, acknowledged that Grier and the board need to improve, particularly in listening and in rolling out changes. “He did well on his performance review, but he didn’t get perfect marks,” Moore said. Trustee Anna Eastman, the lone trustee to vote against the extension, said she knows Grier is passionate, but she is concerned about the mood in the Houston Independent School District. Trustees Mike Lunceford, Rhonda Skillern-Jones and Juliet Stipeche abstained from the vote. As Campos and Stace have observed, this isn’t exactly an overwhelming vote of confidence in Grier. A handful of votes go the other way in the Rodriguez-Fonseca election, who knows what might have happened. For what it’s worth, I think Grier has done enough to warrant an extension, but he’s also done enough to have been denied that extension. I hope he puts some thought – and action – into the reasons for that. The reporter for Texas Watchdog, a nonprofit investigative news agency whose HISD coverage is utilized by the Examiners, did not provide him with a written copy of the HISD board agenda and left out critical wording when explaining it to him verbally, White said. Although White said he found the wording “slightly problematic,” he said he had conversed with Thompson Thursday and “saw and heard nothing that would rise to the level of a legal challenge.” State open meetings laws require that agendas be posted 72 hours in advance of a public meeting and outline circumstances for employee matters to be discussed in closed executive session. Glad we got that cleared up. I can only imagine what kind of fuss there would be now if that allegation were being pressed. Hair Balls has more. There will be no recount in the HISD Trustee District III race as challenger Ramiro Fonseca has officially conceded. Because of the close margin, Fonseca, a Houston Community College administrator, did not concede on election night three weeks ago. At that time, Fonseca trailed by 24 votes. After mail-in and provisional ballots were counted, Fonseca was down by an additional vote, and the school board canvassed the results last week to make them official. Monday was the day that the election results were officially canvassed and certified. As close as the HISD III race was, it’s not realistic to expect that a recount would change anything. I wish the result had been different, but it’s time to move forward and keep shining a spotlight on the incumbent, who continues to not get it. My thanks to Ramiro Fonseca for running a good race. Stace has more. There were 653 undervotes in this race, and turnout in the district was 11.61%. Fonseca carried Election Day by 78 votes, but had trailed by 102. At one point during the count, the Clerk had Fonseca up by one vote. What more do you need to know? I will have recaps of the elections tomorrow morning. As of publication, about 95% of Harris County precincts are in. Mayor Parker appears to be headed to a just-over-50% victory, which beats the alternatives but is sure to get the chattering classes all fired up. The big surprise of the night to me is District A incumbent Brenda Stardig trailing her teabagger opponent, with the two of them headed for a runoff. We’ll see how that plays out. Other incumbents are all above 50% with the exception of Jolanda Jones, who will go into overtime again against Jack Christie. More tomorrow, see you then. A last-minute campaign flier for Rodriguez displays appalling homophobia. The flier urges recipients not just to vote for Rodriguez, but to vote against his opponent, Ramiro Fonseca, because he has been endorsed by the Houston GLBT Caucus, “the South’s oldest civil rights organization dedicated solely to the advancement of gay, lesbian, bisexual and transgender rights.” The flier further states that Fonseca has “spent years advocating for gay, lesbian, bi-sexual, transgender rights … not kids,” and winds up with a pair of bullet points noting that he’s 54 years old with no children and has a male partner. Well said, and good on them for reacting appropriately. The Chron sticks with the incumbents in the three contested HISD Trustee races. For HISD Trustee in District III: Manuel Rodriguez Elected to the board in 2003, he was its president in 2007, when the district successfully passed an important bond to build 21 new schools and repair and remodel more than 100 others. He consistently supports Grier and Apollo 20. For HISD Trustee in District IV: Paula Harris. Harris, currently board president, has been a forceful advocate for her district, and as board president, has pushed a consistent program of reforms to improve school performance. She has been a staunch ally of Grier and an advocate of Apollo 20. We have been seriously concerned by reports of fat HISD contracts awarded to her friends. But Harris says that she’s played by the rules, welcomes new, tighter ethics standards, and promises to avoid murky areas in the future. 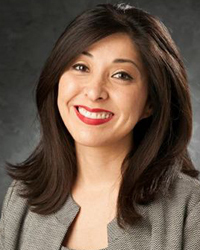 For HISD Trustee in District VIII: Juliet Stipeche Elected in November 2010 to complete an unfinished term, Stipeche quickly proved herself a strong board member. She’s supported tighter ethics rules and a truly independent audit of HISD’s procurement system. An alumna of the district’s High School for Law Enforcement and Criminal Justice, she’s a strong supporter of high-performing magnet programs and in-district charter schools. We appreciate her diplomatic, thoughtful criticism of Grier and Apollo 20. Based on their own reporting, that strongly suggests they want to see Superintendent Terry Grier’s contract extended after it expires next December. Be that as it may, Harris and Stipeche are clearly better qualified candidates than their opponents, while the Rodriguez/Fonseca matchup is closer to even. I thought Fonseca might have had the edge here since he won almost all of the endorsements from other organizations, but apparently not. (Campos, not surprisingly, vehemently disagrees with the Chron.) My interview with Paula Harris is here, with Juliet Stipeche is here, with Manuel Rodriguez is here, and with Ramiro Fonseca is here. What do you think? And we have our first contested Democratic primary in Harris County for 2012 as Diane Trautman has announced her intent to run for Harris County Department of Education Trustee in At Large #3. Here’s her Facebook page for that. She joins David Rosen, who made his announcement last month. The At Large #3 seat is the one held by the notorious Michael Wolfe; also on the ballot will be the Precinct 1 seat now held by Roy Morales, which as we know will be the single easiest pickup opportunity for Dems next year, or at least it will be once there’s a candidate. If someone wins the At Large #3 race as well, Democrats will hold a majority on the HCDE Board of Trustees. Remember this race when you go to the polls next March, because it will matter. In news related to this fall’s election, we have another challenger to an HISD trustee, as Ramiro Fonseca has announced his candidacy in District III, currently held by trustee Manuel Rodriguez. You can see his press release here.Fonseca is the president of the non-profit Houston Hispanic Forum; you can read a news story about it here. He has a personal Facebook page but does not as yet have either a campaign website or Facebook group that I have found. Finally, there was another update from Educators For A Better District IV last night, including a link to a webpage for Arturo Huerta, so now I can say I know something about him. The full email is beneath the fold. HISD will be holding two interactive, live TV shows to gather comments and feedback from the community. The first will be on Monday, June 28, from 7:00–8:00 p.m., on the HISD channel, and will be hosted by KPRC’s Khambrel Marshall, Board President Greg Meyers, and Superintendent Terry Grier. Viewers will be able to phone, e-mail, and Twitter their comments during the live show. The second show will be broadcast on Univision 45 Houston from 5:00–10:30 p.m. on Tuesday, June 29. The program will be hosted by Board Trustees Diana Dávila and Manuel Rodríguez along with Univision on-air news talent. Throughout the evening there will be periodic updates and interviews during Univision’s regular programming. The development of the long-term Strategic Direction is a six-month effort that started in February 2010 and will culminate in August with the release of a final plan. The goal is to create a set of core initiatives and key strategies that will allow HISD to build upon the beliefs and visions established by the HISD Board of Education and to provide the children of Houston with the highest quality of primary and secondary education. Over the past two months, HISD has been gathering input from employees, parents, students, and members of the Houston community, including faith-based groups, nonprofit agencies, businesses, and local and state leaders. After analyzing feedback and conducting diagnostic research, a number of core initiatives have emerged. They include placing an effective teacher in every classroom, placing an effective principal in every school, developing rigorous instructional standards and support, ensuring data driven accountability, and cultivating a culture of trust through action. For more information about HISD’s Strategic Direction, visit www.houstonisd.org/strategicdirection. There’s more information at that last link. Please participate if you can. This week, Carl Whitmarsh forwarded to his list a pair of articles written by HISD trustees on the subject of CEP and the changes that have been proposed by Superintendent Terry Grier. Since that has been such a contentious topic, which took up a fair bit of time in the interviews I did with Grier and with HFT President Gayle Fallon, I figured I’d reproduce them here. The first is from Trustee Manuel Rodriguez, the second from Trustee Carole Mims Galloway. Click on to read them.